Tour the Game of Thrones is a touring company based in Dubrovnik, Croatia. Although we provide a wide range of touring services and travel arrangements, we are best known for the Game of Thrones-themed tours that we successfully run. Aside from being devoted to Game of Thrones fans, our guides are officially licensed by the Croatian Ministry of Tourism. This allows us to show you not only scenes from the famous show but the rest of our beautiful country as well! All of our tours are private so you’ll have your own guide at your disposal during the entire tour. We show you many of the iconic Game of Thrones locations in Dubrovnik where you will discover the real King’s Landing in an entertaining tour designed by true Game of Thrones fans! All of our guides hold the official license issued by the Croatian Ministry of Tourism and are authorized to provide expert commentary on all the locations of historical and cultural significance in the Dubrovnik region. Our guides come from different backgrounds but, they all share the same passion regarding the book and television series that has captivated a broad audience all around the world and are proud to be a part of that same Game of Thrones fan base. All of the tours we offer are private so you will have your own guide at your disposal during the entire length of the tour. Pick their brains both related and unrelated to the Game of Thrones. They know their history in Croatia as much as they know their history of Game of Thrones! Not to mention, a few of them assisted in the making of the series through their direct participation as extras in the filming of the Game of Thrones! Your tour could be led by Tom, who is the owner/manager of Manus Regis, the touring company that operates this website that specializes in thematic tours inspired by the popular HBO’s TV show, “The Game of Thrones.” The tour is also conducted by several other enthusiastic hand-picked licensed guides, such as Tom’s sister Tonka who is an archaeologist and a former extra from the show. 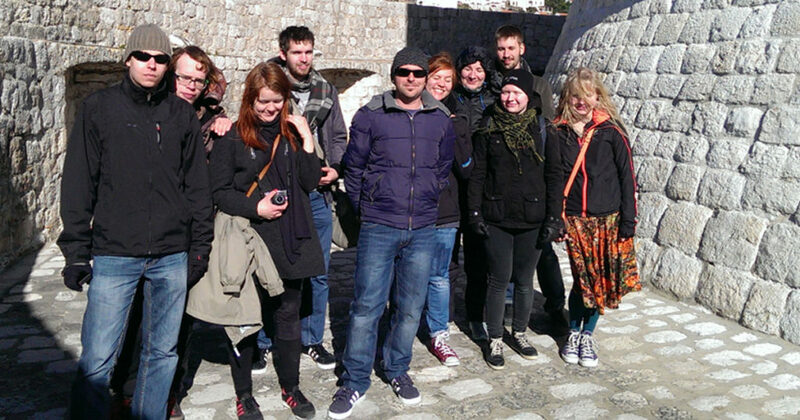 They all believe in a laid-back personal approach and the tours are designed to provide a balanced combination of facts (Dubrovnik history, local traditions, contemporary life) and fiction (Game of Thrones). Our team of devoted Game of Thrones fans has prepared several private tours, which combine the iconic Dubrovnik locations that have been featured on the show. Aside from allowing you to discover familiar breathtaking panoramas and relive the favorite scenes from the show, our guides will also share interesting facts that happened behind the scenes during filming. You won’t get that Intel anywhere else. Aside from touring the Game of Thrones iconic scenes, you will embark on a tour that shows the magnificent history and culture that makes Dubrovnik and its surrounding areas one of the most magical places on earth! We are a proud nation and we welcome you to discover and enjoy our amazing country. Embark on this unforgettable journey made for fans by fans! Tour the Game of Thrones with us and experience a journey you will never forget. If your a fan this is an absolute MUST on your cruise or trip. 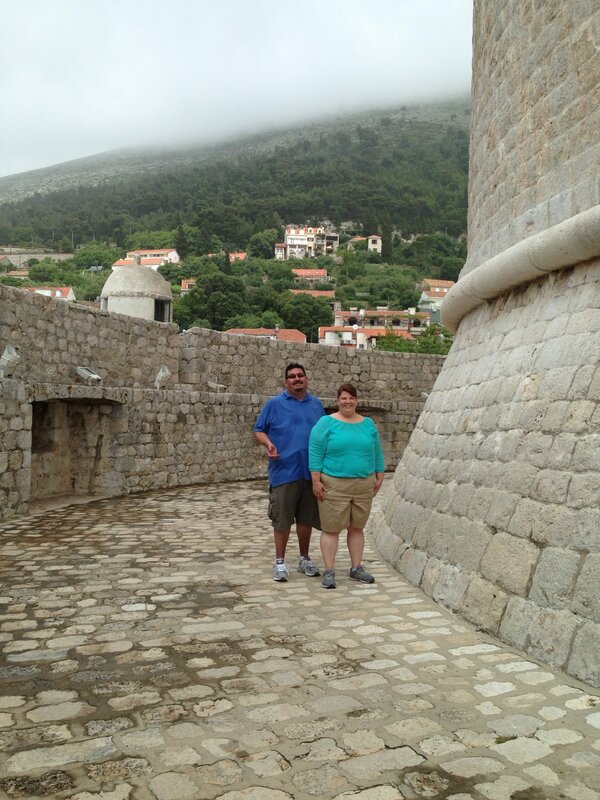 Tom was very an excellent guide and he knew the history of Dubrovnik and Game of Thrones.